Photography is one of the most rewarding hobbies around. It is unique in the sense that it combines two drastically different components—technical and creative. Learning how to combine those two extremes takes you on an exciting lifetime journey. This exciting journey and wonderful hobby come at a price. The cost of photography equipment is often the main stumbling block for aspiring photographers. Yet there is no way around it since photography requires at least a camera and lens. 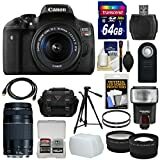 Fortunately, Canon lives up to its stellar reputation as the biggest and most reputable brand in the photography field by offering an excellent entry-level option—the Canon t6i. This model has the perfect balance of quality, features, and price that have made it, unsurprisingly, the most popular entry-level camera on the market for years. 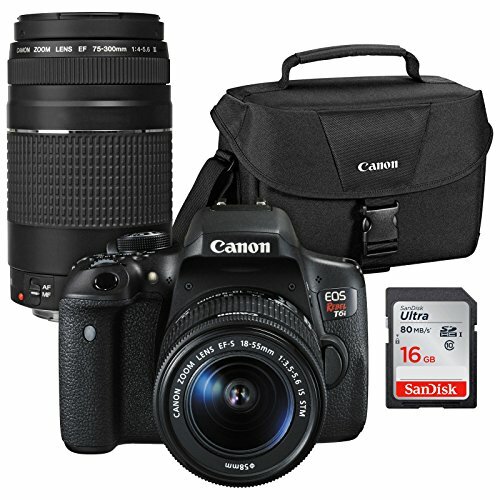 If you approach purchasing the Canon t6i strategically, you can also save a ton of money! 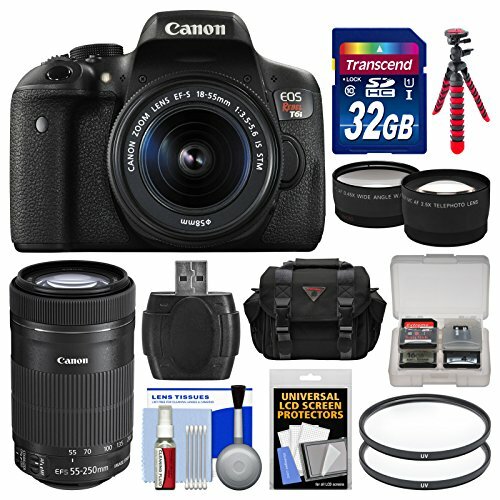 The simplest way to reduce the cost of photography equipment is to purchase a set of products together as a bundle. When you purchase your first camera, there are a lot of pieces of equipment you need besides a camera. Buying these products together only makes sense because it is convenient and economical. Many photography retailers offer entry-level bundles, but not all bundles are created equal. The bundle provides true value and actual savings. It is disguised as an upscale sham. The combined price of the bundled components exceeds the price of buying the components separately. It is a marketing scheme. The bundle is filled with low-quality, useless junk with the purpose of increasing the bundle’s perceived value. 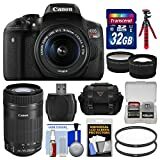 To help you navigate selecting the best bundle deal at the best value, I have outlined what to look for in a Canon EOS t6i DSLR bundle and what to avoid. 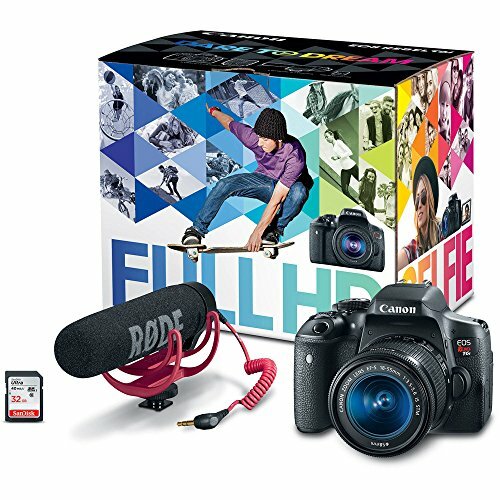 Every DSLR camera manufacturer including Canon sells a kit lens. The purpose of any kit lens is to give the first time DSLR buyer an inexpensive and decent quality lens that is suitable for any type of photography. The goal is to give new photographers enough time to figure out what type of photography excites them the most so that they can upgrade the kit lens with a more specialized model that suits their needs. For example, upgrading a kit lens to a wide-angle lens for landscapes or a faster prime lens for portrait photography. 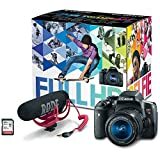 If you buy an 18-55mm lens separately, it costs around $200 to $250, but as part of a kit lens bundle, it costs around $50 or less. The kit lens is always the best value in any bundle. If you are planning to photograph your kids or grandkids playing sports or are wanting to explore wildlife photography, you should consider the entry-level telephoto lens from Canon. Once again, if you bundle the Canon t6i with the 18-55mm and 55-250mm lenses, you will save a ton of money. The two-lens bundle is the second best value in bundles. As a photographer, you always need more than one memory card. It only makes sense to buy additional memory cards as part of a bundle. But you have to be careful because if you purchase a slow memory card, you can cripple the performance of your new Canon t6i. If you buy a low-quality card, you run the risk of losing your precious photos. Make sure the SD card is 16GB or larger and that it is built by a reputable brand like San Disk, Lexar, or Transcend. For more information on how to choose the right memory card for any camera, check out my in-depth guide here: How to Select the Right Memory Card for Your Camera. We have a saying among photographers that there is no such thing as having “too many camera bags.” When you progress through your photography journey, you are in a constant search for the “perfect camera bag.” Getting the right camera bag is a very personal thing and, for every photographer, the perfect bag means something different. You cannot buy the right bag for your needs by reading reviews. You must try it first before making your decision. Purchasing your first camera bag as part of a bundle is the first step in your search for the perfect bag. A wireless shutter release is a small, inexpensive piece of equipment that can be extremely useful when you want to take a selfie or a family portrait. It allows you to remotely trigger the shutter release. It is not a necessity, but it never hurts to have one in your bag. It is always good idea to have an air blower in your bag to remove dust from the camera’s sensor. A microfiber cloth also helps you keep the front element of your lens clean. If you have multiple memory cards, you might like to keep them together in a safe place such as a memory card wallet. Again, this is not an essential part of your photography setup. Some photographers use screen protectors and others do not. I belong to the latter group. I find that, after a few weeks of use, screen protectors become hazy and can become too reflective on a sunny day. It is not easy to find the right tripod for your style of photography and quality tripods are not exactly cheap. Any tripod included in the Canon i6t bundle will likely do more harm than good for your photography. Stay away from them. Invest is a good quality tripod only when you absolutely need it. 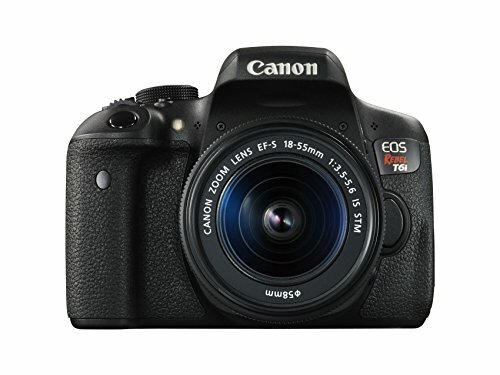 The Canon t6i has a built-in flash that is better quality than any flash included in the bundle. The quality flash is a sophisticated and an expensive piece of equipment, so do not expect to use the $10 flash from the bundle at all. The lens attachments are not only useless, they are also harmful to your photography. Just think about it: you just bought an advanced DSLR camera with a good quality lens. It does not make any sense to attach a low-quality glass to it that will distort and soften your photos. In recent years, the majority of camera filters became obsolete. Why? Most of the effects the filters produce can be easily achieved using editing programs like Lightroom and Photoshop. The only filter effect that cannot be replicated in editing programs is the Polarized filter. But a high-quality polarized filter can cost anywhere between $80 to $100. The polarized filters included in camera bundles usually cost around $0.50. You do not want to stick a low-quality glass filter in front of your new lens.